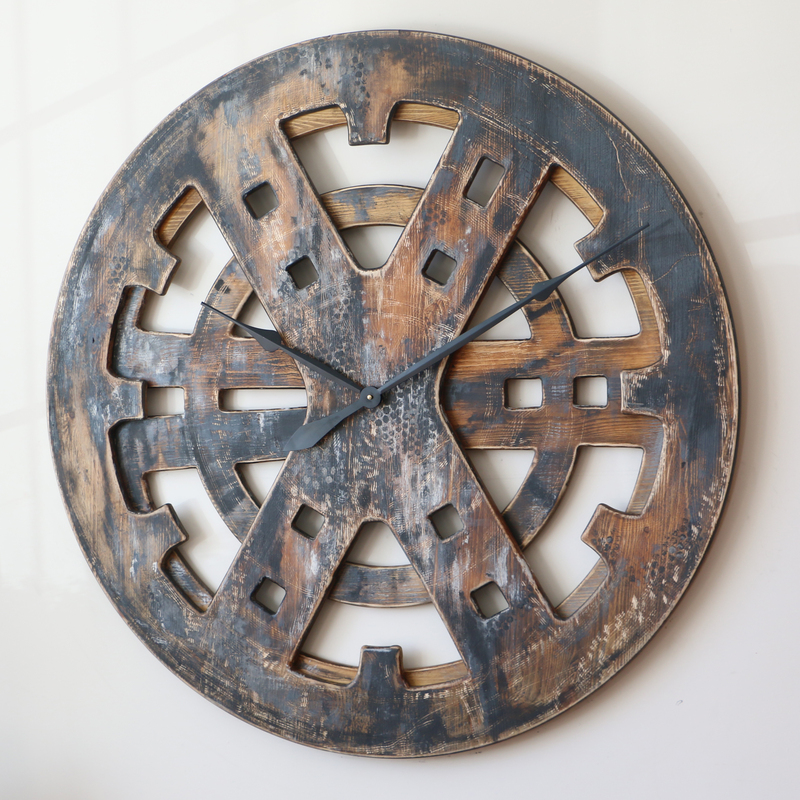 This Industrial Clock is made entirely from wood with no metal elements. As you can see it still has industrial look and feel. 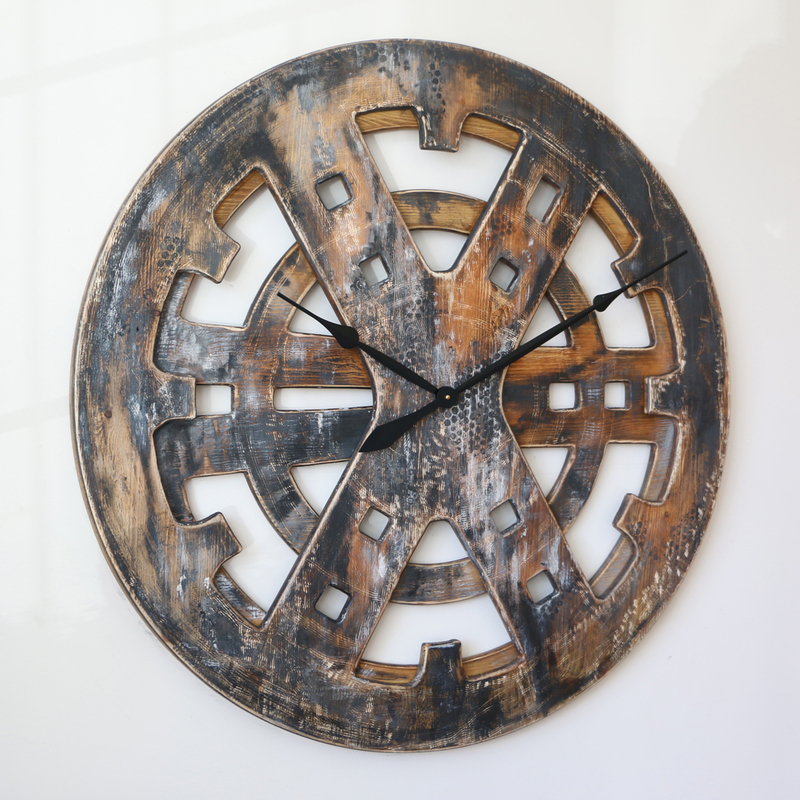 We made this stunning Industrial Clock from two large pieces of pine wood bolted together. You can see multiple colours and patterns providing particularly remarkable look and character. Its amazing urban style makes it very appealing for people with sophisticated and often expensive taste. If you want to stand out from the crowd these days it is no longer enough to buy loads of mass produced home decor items. You really need to make a statement and impress your visitors with something so unique and special that it will take their breath away. At Peak Art we have been working on the most impressive handmade timepiece designs since late 2014. 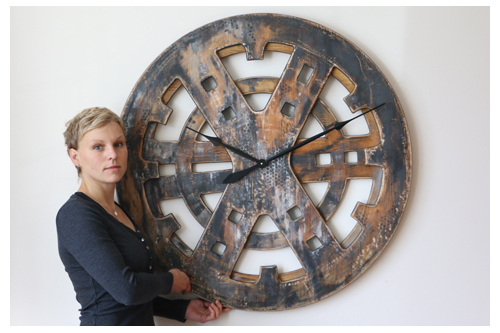 We had many customers asking for an Industrial Clock made only from wood and this timepiece is our response. The mechanism is battery operated Quartz Sweep Movement that needs a single C Cell Battery. You won’t need to worry about swapping the battery for at least 9 months according to our testing. 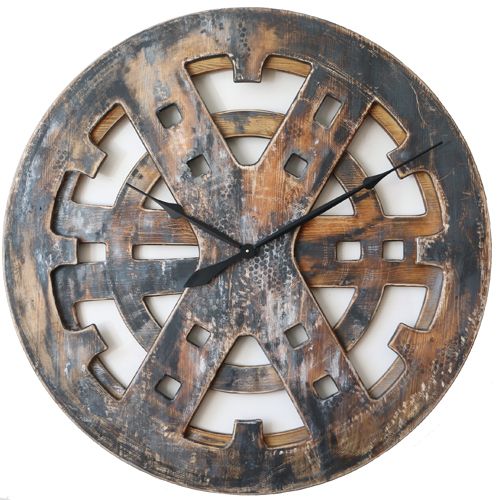 We deliver each clock with both hands detached to avoid any damage in transport. 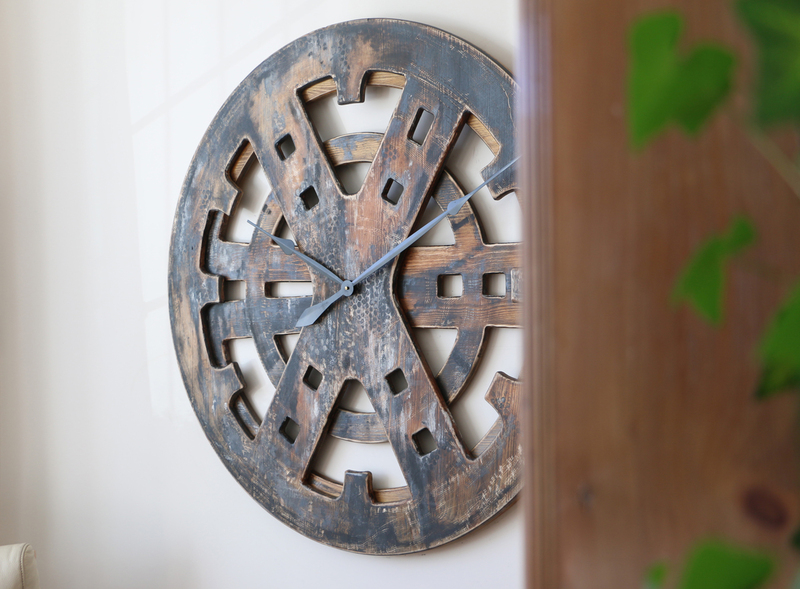 At the same time you will receive full instructions how to attach clock hands and set the time.